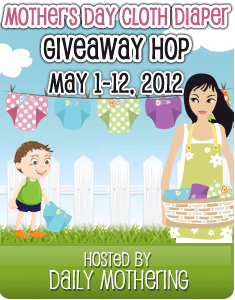 Welcome to the Mother's Day Cloth Diaper Giveaway Hop hosted by Daily Mothering! 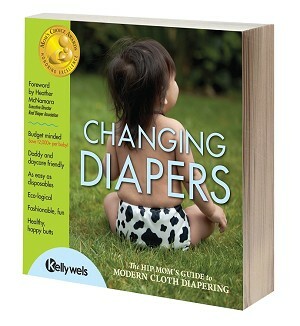 Enter my giveaway for the popular cloth diaper book, "Changing Diapers: A Hip Mom's Guide to Modern Cloth Diapering" below and then hop to the other blogs listed at the bottom of this post to enter their fluffy giveaways too! Don't forget to enter the GRAND PRIZE giveaway at Daily Mothering for your chance to win this amazing $1300 Cloth Diaper Prize Pack!